I have never visited a place and felt so instantly at home and insanely happy. The wild costal walks provide some of the most spectacular Cornish scenery, there are ample good pubs and some great places to eat. In short, St Agnes has got it all and I love her. Saturday - Feeling relaxed and a million miles away from the big smoke head to the Sorting Office for a coffee and a pastry. 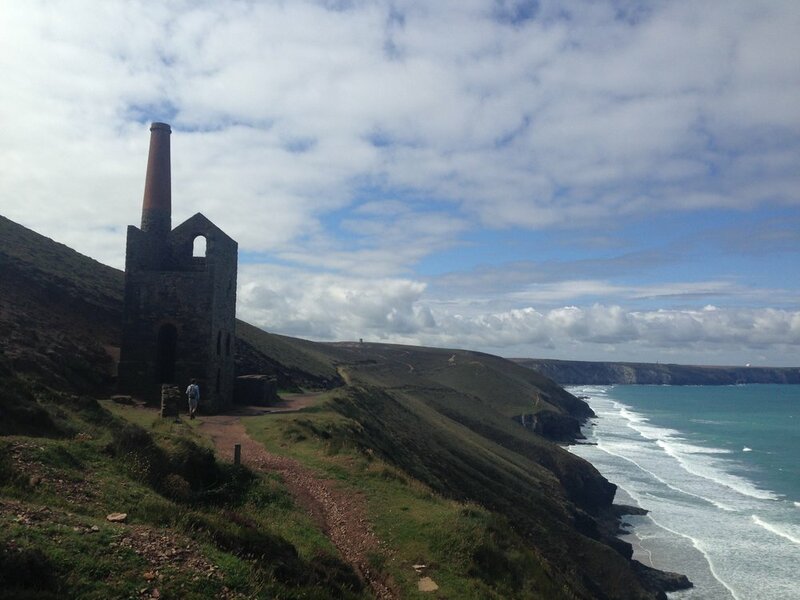 When ready to move on, get onto the coast path and follow it towards Chapel Porth - familiar to the Poldarkers, this bit of coast path is peppered with the incredible ruins of the old mines. This figure of 8 loop is about a 7mile walk and it's best to check the tides so that you arrive at Chapel Porth for low tide. Depending on your tummy rumbles the Chapel Porth café serves a sensational sausage baguettes with onions fried in clotted cream. If you can hold out for another hour or so then get onto Chapel Porth's sweeping expanse of sand and walk all the way round to Porthtowan where a refreshing, well earned pint awaits on the sun trap terrace of the Blue bar. Come early evening take a stroll down to St Agnes village centre know as Churchtown - on a warm summers evening a drink outside the front of St Agnes Hotel over looking the pretty church is bliss. Carry on the crawl by following the corner round and down the picturesque Stippy Stappy to Trevaunance Cove. Arriving early evening you'll find a drinking spot in Cornwall that's hard to beat - The Driftwood Spars. The evening could take you in number of directions with regards to where you take your pit stops... but you couldn't fail to have a good time which ever way you go so I'll just list options below. Sunday - follow the coast path in the opposite direction and find a luna landscape down at Trevellas. Cut inland passing the relics of the Blue Hills tin mines and follow a magical enchanting path beside a stream through the woods. After a good mile you'll come to a bridge on your left, cross it and keep walking up then you'll see the footpath slip off into the woods again on your right hand side. Keep going until you hit the main road. Turn left on the road and up the hill until you see a sign for Mithian. Swooping round the corner and dropping into pretty little Mithian you'll spy a smugglers lair. You're in for a real treat. Cross the threshold of the Miners Arms and find a proper old world comfort pub. Cosy fire, good beer, cheese and crackers on the bar.. and their crab sandwich is a meal I frequently dream about. The Railway Inn - great fun.. end of pub crawl destination.